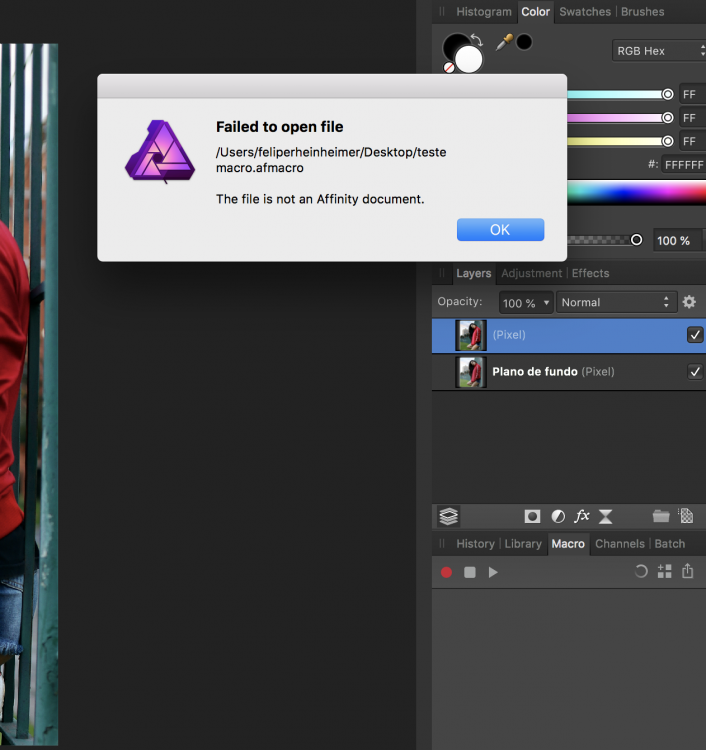 I'm a new user of Affinity Photo and i can't record any macro, because the program just crashes and closes when i select "Add to Library"! It's terrible and i don't know how to fix it. I can select "Create New Category" but nothing results from it too. There is this bug in my version 1.6.7. Could you do the following for me please? 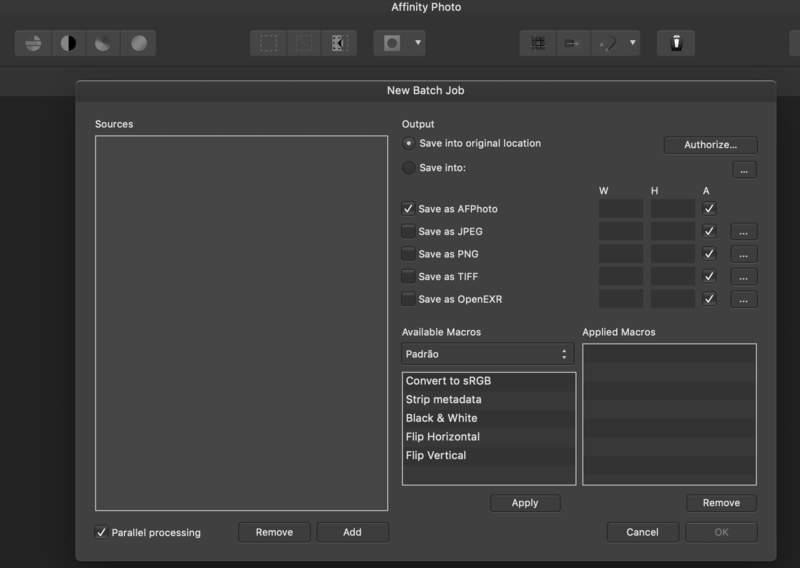 Launch Affinity and try to add a macro to the library. This will reset your Macro Library to defaults, so be aware that it will lose any current Macros you have. This is why it is important to export the ones you want to keep. If you could also attach that propcol file to this thread we can look at trying to reproduce the problem and get development to investigate the crash. I can save or export a file in my desk and just it, because when I try add this file in my library the Affinity Photo chases and closes...it's ridiculous! Have you tried deleting the macros.propcol file in the folder above (ensure the application is fully closed)? If we can't reproduce the crash then it is very difficult for us to pass on to develop to investigate the crash! Could you do a screen recording showing the process you are going through that produces the crash please? I need some help about that...it's terrible for me. Thanks for the video, however have you tried doing what I suggested in a previous post above regarding deleting your macros.propcol file? If this is still crashing could you click on the 'Report' button in the crash prompt that appears, and then copy and paste the data inside there into a text file and then attach that to this forum post please! I tried to delete the file, but there isn't this file in my computer. I don't have any macro save too. Is there any answer to my problem? When i select "New batch job" happens the same thing: crashes and closes. 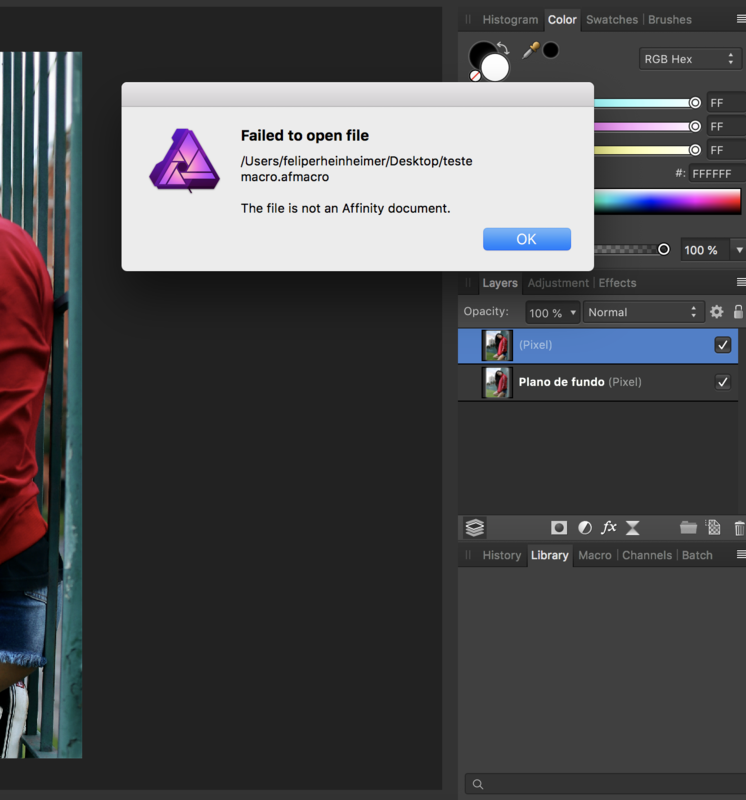 Could you first export your Macro Library out and then close the app down. If you then hold Ctrl down when launching the application you will be presented with a Clear User Data dialog, could you untick all the other options and select 'Reset Macro Library' and then click 'Clear'. Does that then allow you do save Macros? I was traveling and forgot to answer, sorry about it. But your suggestion worked about Macro Library in my computer now, thanks! I have another doubt about the presets in Develop Persona. I'd like to know if is possible to use Presets in Batch Job or just Macros...can you help me? By presets I take it you mean Adjustment? If so it is not possible to apply them directly from the Batch dialog, but you could save a macro of applying each one and then save those out. I understood about the Macros, but my doubt was about the Presets in the Develop Persona, because I'd like to use in the Batch Job. But Carl123 wrote that it's not possible at the moment.